Buy 7" Mini Laptop- I Book Pro (with FREE accessories worth Rs. 2000/-) online - TVC Skyshop - Buy world-class innovative products at affordable prices offering full value for money. 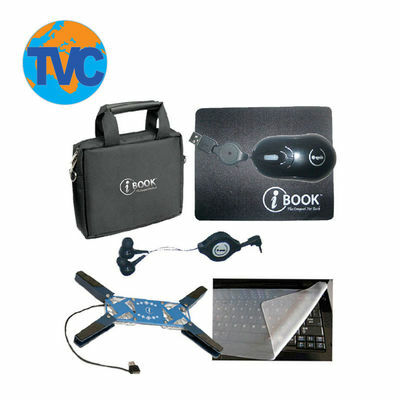 The TVC Sky Shop I Book Pro is a 7 – inch compact net book powered by Samsung 533 MHz processor and 2GB NAND Flash MLC expandable up to 32GB. It supports USB Flash and MMC/SD card and has an inbuilt memory of 128MB RAM. 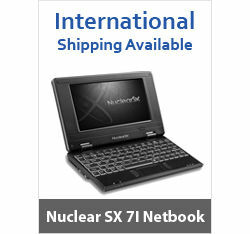 The IBOOK Pro is optimized for Internet access, remote desktop and other computing activities. It is perfect for students, marketing professionals, businessmen and others who want a stylish, compact and lightweight netbook. • Free accessories worth Rs. 2000 – Hand Bag, Cooling Pad, Keyboard Protector, Earphones, Mouse & Mouse Pad. The TVC Sky Shop I Book Pro is a 7 – inch compact net book powered by Samsung 533 MHz processor and 2GB NAND Flash MLC expandable up to 32GB. It supports USB Flash and MMC/SD card and has an inbuilt memory of 128MB RAM. Summary : The IBOOK Pro is optimized for Internet access, remote desktop and other computing activities. It is perfect for students, marketing professionals, businessmen and others who want a stylish, compact and lightweight netbook. Benefits : • Free accessories worth Rs. 2000 – Hand Bag, Cooling Pad, Keyboard Protector, Earphones, Mouse & Mouse Pad. Warranty: 6 Months.